GoSouthernMD.com Lymphedema Full Arm Care Kit is a complete solution for compression bandaging of an arm, leg or lower leg. Distinctly arranged and ready for use with reliable quality, each kit contains a customized amount of the components necessary for effective bandaging of the limb. 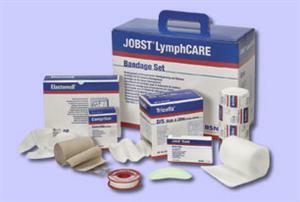 This Lymphedema Kit is for Full Arm or Double Arm. See below what both includes and click on drop down box to choose which one.